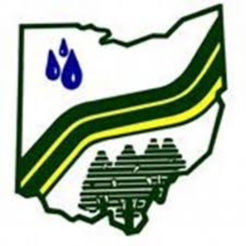 The Ohio Federation of Soil and Water Conservation Districts (OFSWCD) work hand-in-hand with the Ohio's 88 county Soil and Water Conservation Districts (SWCDs) using grassroots advocacy at the local, state and national levels. Our conservation messaging from voluntary supervisors, dedicated staff and partners is a key component of our program success. Each District shares their yearly contributions, successes and needs with county, state, and federal elected officials while the OFSWCD organizes, leads and represents the overall statewide vision as a collective voice for our 88 counties. Together -- we are have a strong voice for the importance of clean water and healthy soil for all Ohioans. Legislative Reception 2019 in partnership with our Annual Meeting. This is a great time to highlight the great work SWCD's are doing and visit with our legislators. Watch for more details. Every March, the OFSWCD heads to Washington to share the message of Ohio's conservation efforts and importance of districts to Ohio's Congressional delegation. This is a great opportunity to remind them of the great work being done for soil and water, the importance of federal programs and funding to Ohio's farmers and communities, as well as invite Members to tours and meetings in their districts. 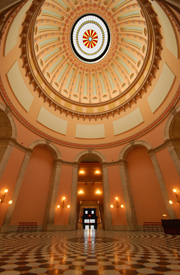 To get important legislative alerts, join our email list! The OFSWCD tracks and updates SWCD supervisors, staff and partners on legislation introduced, pending bills, and other legislative information which may impact Districts, conservation efforts, natural resources, agriculture and the environment. Statehouse News is shared weekly. Additionally, policy or issues of interest are provided too to keep our members apprised of state and national information. *Statehouse Images courtesy of the Capitol Square Review and Advisory Board.